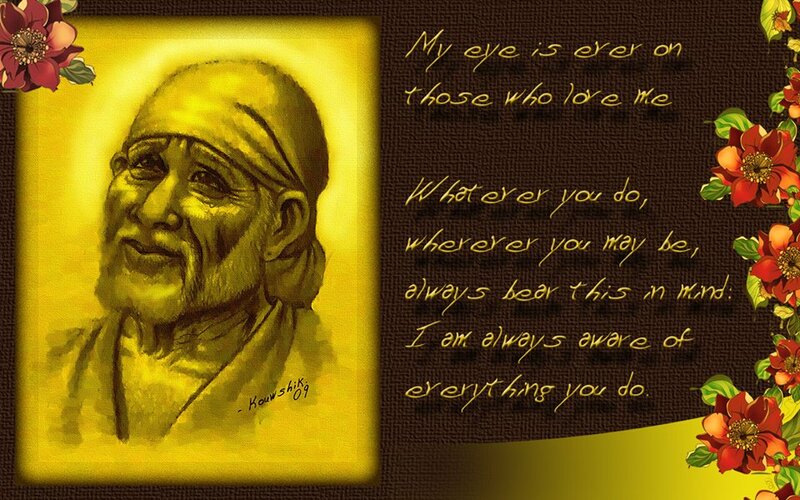 Your prayers to SHIRDI SAI BABA : ​​Prayer List for Shirdi Sai Spiritual Group Prayers on Thursday after Dhoop Aarati – 18:30 hrs on 01st December 2016. 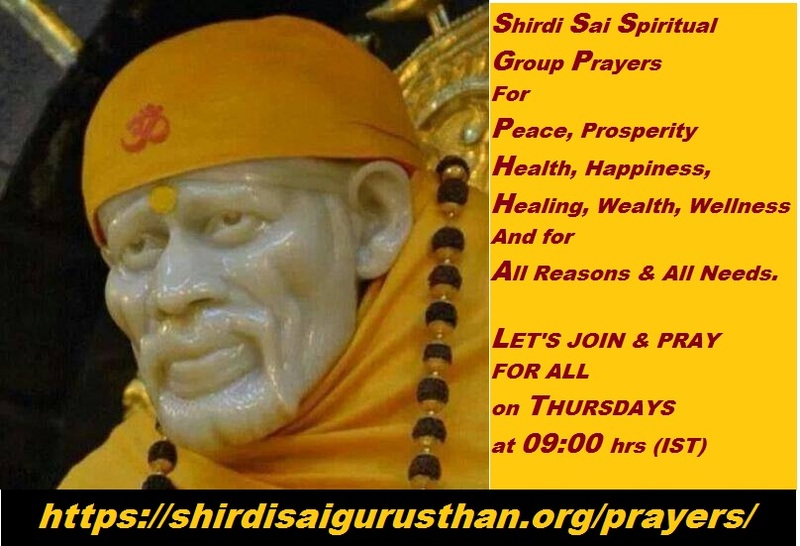 ​​Prayer List for Shirdi Sai Spiritual Group Prayers on Thursday after Dhoop Aarati – 18:30 hrs on 01st December 2016. 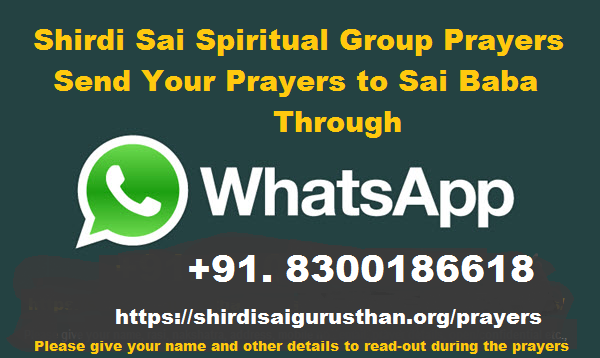 Subject: ​​Prayer List for Shirdi Sai Spiritual Group Prayers on Thursday after Dhoop Aarati – 18:30 hrs on 24th November 2016. 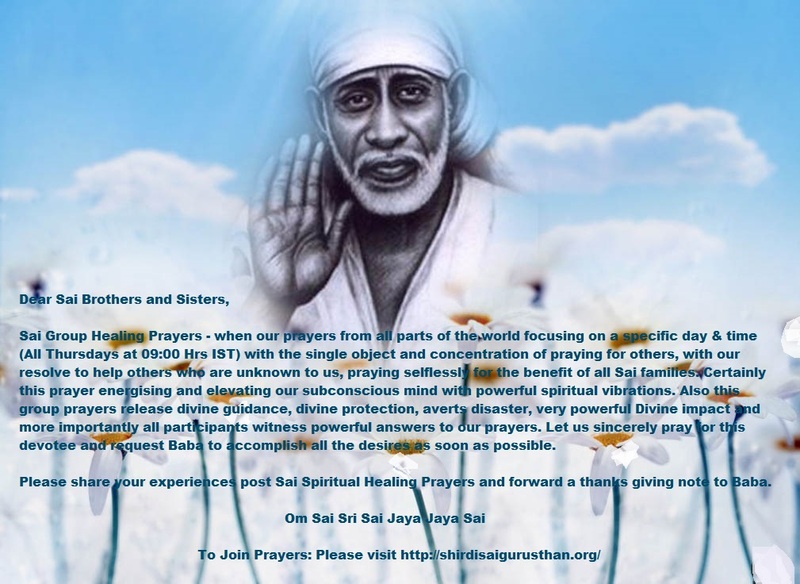 ​​Prayer List for Shirdi Sai Spiritual Group Prayers on Thursday after Dhoop Aarati – 18:30 hrs on 24th November 2016. Om Sai ram my Daughter 'smarriage settle within 62 days re karidia. Her marriage life love & future with her husband.please baba help me. Dear SAINATH please make my son better and cure him from mental illness and give him happiness. I am old and have no one to turn to except him. Please HELP. Am suffering from a severe financial crunch. Unknowingly i am getting deeper and deeper into the issue. I am getting suffocated because of this issue. I pray lord baba to pull me out of this issue immediately and give me a solution. I am expecting a financial support from a friend. Please pray for me to get it done. Sai g please give me confidence. Sai g please cure my depression.